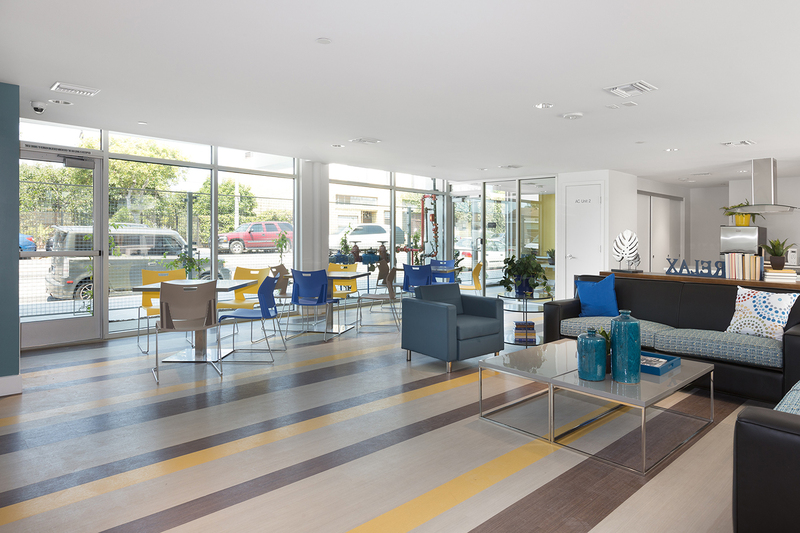 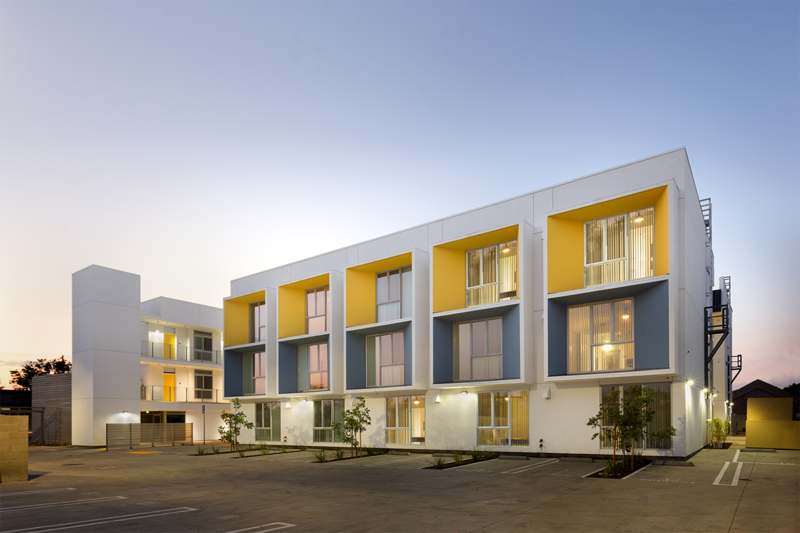 Silver Star Apartments is an affordable housing development for veterans, which includes cutting edge sustainability features, including delivered zero net energy and gray water recycling. 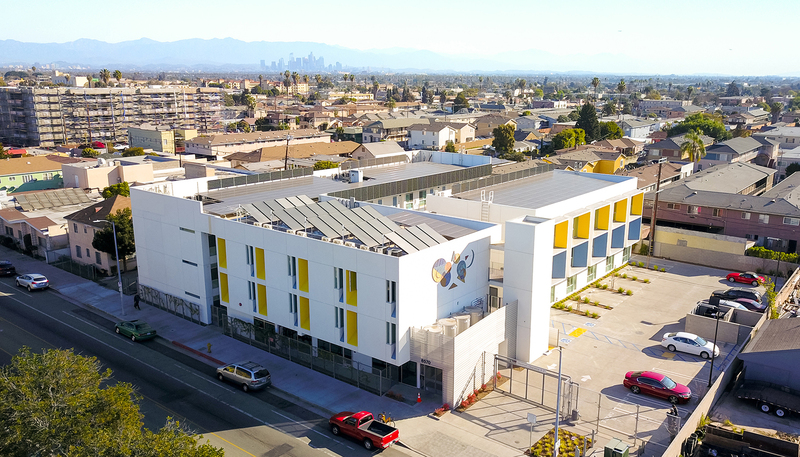 The project aims to meet the “Living Building Challenge” in addition to LEED and Energy Star requirements and pays special attention to the solar orientation of each façade. 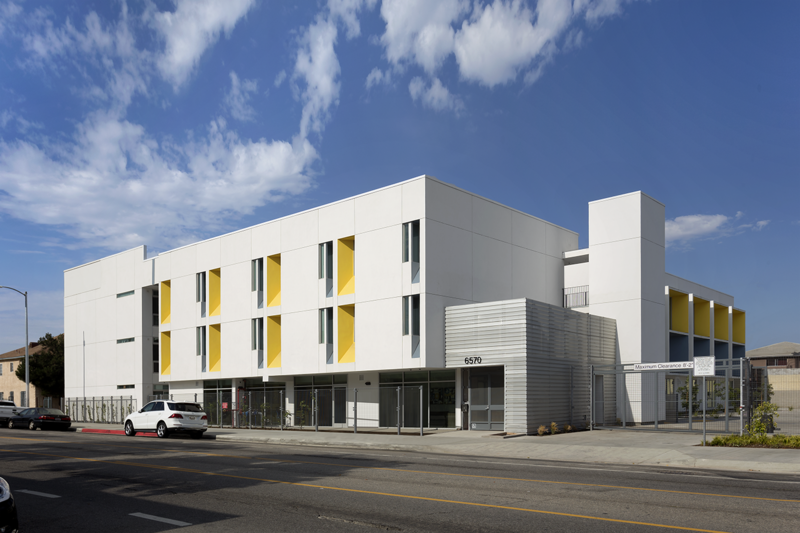 The design of the development is a direct correlation between solar passive design and aggressive sustainability goals. 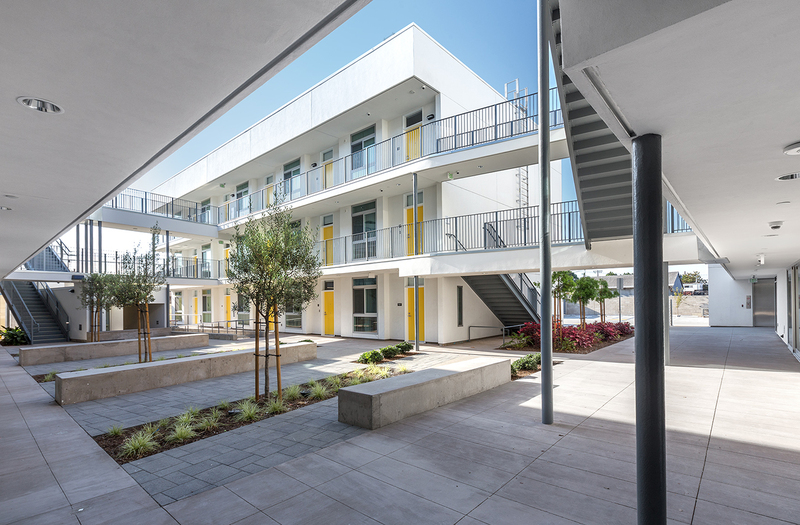 Mostly comprised of one-bedroom units, a mix of courtyards and a community facility, the project creates naturally flowing interaction spaces and varied outdoor spaces for an at-risk population of veterans, helping to promote a healthy lifestyle and communal activity. 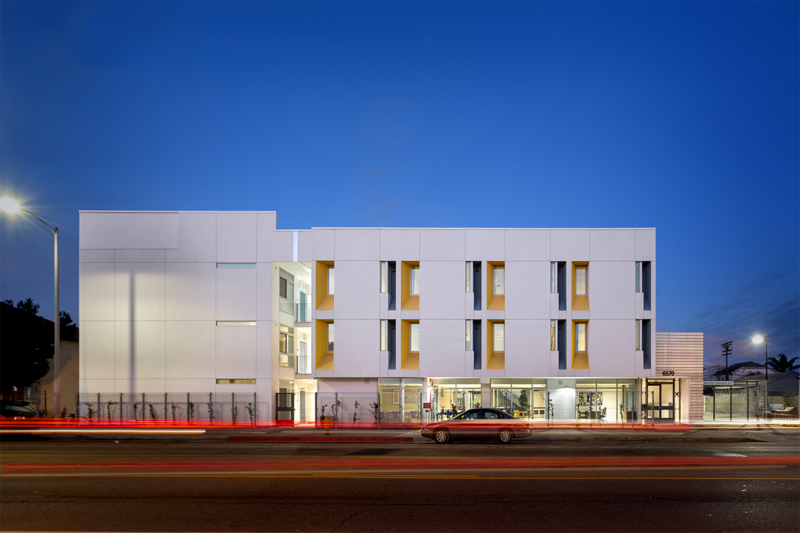 It further incorporates an innovative, publicly accessible herb garden at the street front, in addition to edible landscaping throughout the site.